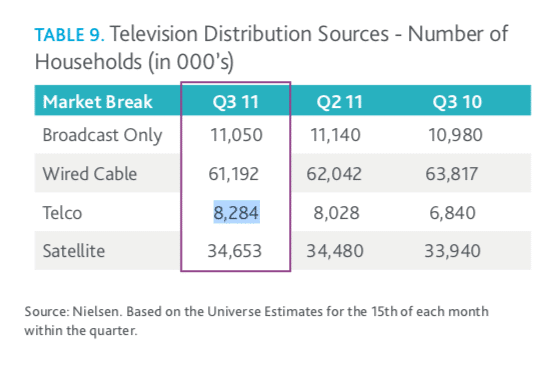 According to Nielsen, at the end of 2013 nearly 103 million U.S. households subscribed to some form of cable, satellite, or telecom provided pay TV service. While Netflix and YouTube were taking viewers away from traditional pay-TV, by Nielsen’s numbers, 90% of the country still held on to their TV subscriptions for live TV and sports. That all started to change in 2014 and by 2015, cord cutting was in full swing and millions of customers started looking at alternatives to cable and satellite TV. Today, as we will see in this article, those losses are staggering. According to Nielsen’s Cross-Platform report from 2011, by the end of 2010 105 million U.S. households were watching television through a telecom, satellite, or cable TV subscription. While Netflix, Youtube, and similar services were cutting into traditional TV viewing prior to 2013, a portion of quarterly losses from one sector of the industry was typically picked up the following quarter in another sector. For example, cable TV subscribers would drop their cable subscription for a more affordable promotion for TV service provided by a telecommunications company. While cable TV started losing subscribers in 2010, the Nielsen data clearly shows those subscribers were getting picked up by similar TV services like Verizon Fios (shown as “Telco” in the image below. While this shuffling of subscribers took place, some consumers that were content with video on demand services began leaving the traditional pay-TV services. From the industry peak in 2010 to the middle of 2015, the industry shed 4.6 million subscribers. While losing nearly a million subscribers a year is bad for business, it was just the beginning. Notice the rate of subscriber losses increase from 2015 through 2018. Over that 3 year period, the industry lost 7.5 million traditional pay-TV households. Nearly half of those losses occurred between 2017 and 2018. These losses obviously coincide with the emergence of streaming services that offered live TV over the internet via a Roku or other TV connected device. Sling TV launched in February of 2015. A month later, Sony launched PlayStation Vue. Those services were soon followed by DirecTV Now, FuboTV, Hulu Live TV, YouTube TV, and Philo. 2016 and beyond were shaping up to be terrible years for the Pay-TV industry, yet little was done by these massive companies to mitigate the obvious disruptions. By the end of 2010, the pay-TV industry had 90% of U.S. households as customers. By the middle of last year, that number dropped to 77% of households. A massive 4% of subscriber losses were between 2017 and 2018. With the massive resources available to the companies it’s shocking how little they have adjusted to the trends. Dish Network and AT&T were the only two traditional Pay-TV providers to launch a successful stand-alone streaming service with Sling TV and DirecTV Now. However, the success AT&T had with their streaming service has been muted by the $67 billion dollar price tag they paid to buy outdated satellite TV company DirecTV. 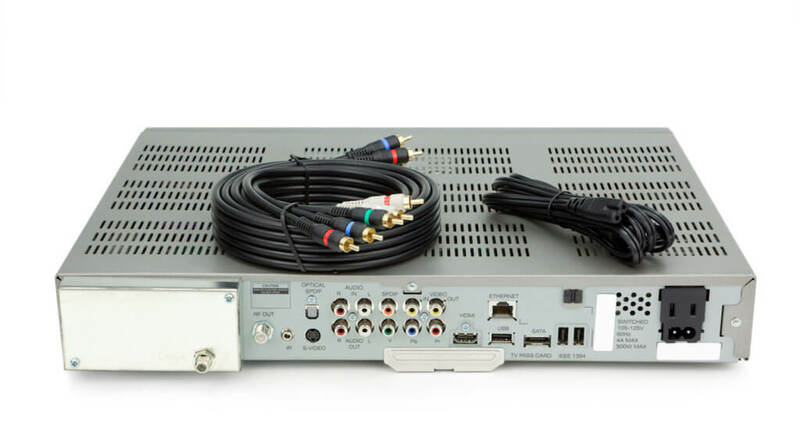 The news in 2019 continued to be bad when AT&T announced they lost over 650,000 video subscribers in the 4th Quarter of 2018 between DirecTV, DirecTV Now, and their U-Verse TV products. With more and more consumers realizing the money they can save by cutting the cord, the industry can only expect these trends to continue. I for one was sounding alarm bells back in 2014. How did the cable and satellite TV industry get so many things wrongs about their own business?